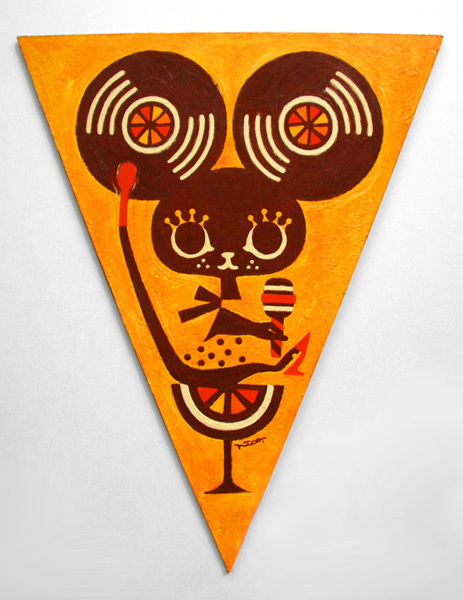 Opening party: August 20th, 7pm – 10pm. Exhibition runs: August 20 – September 7, 2011. 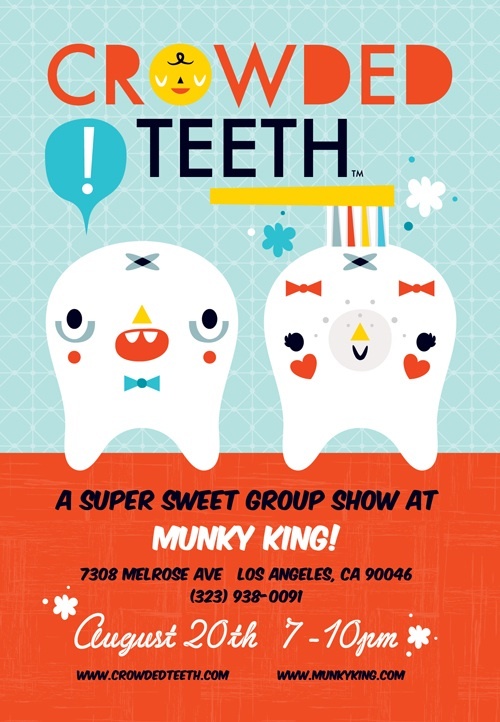 Munky King & SWEET STREETS invite you to a super sweet group show inspired by the fanciful world of Crowded Teeth! So sweet, they make your teeth hurt, the Crowded Teeth characters are everything from pirate ghosts, toaster ovens, to animal friends who love adventure! Crowded Teeth transforms Munky King gallery into a new level of cavity induced awesome, August 20 – September 7, 2011. 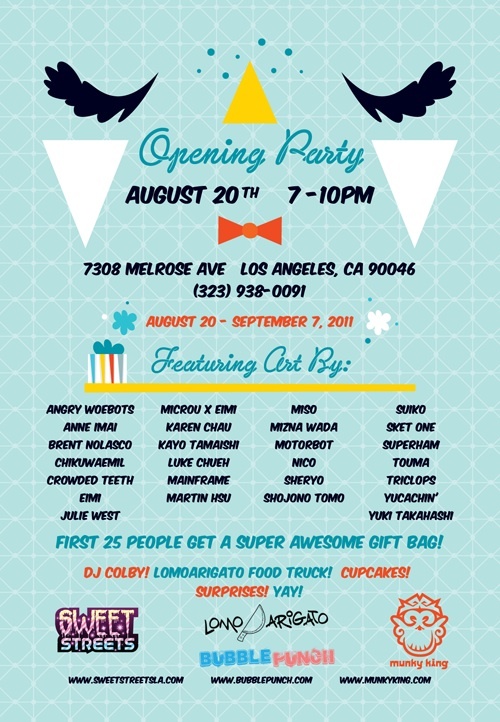 An opening party will be held on August 20th, 7pm – 10pm, feat. music by DJ Colby.1 and food by Lomo Arigato. *First 25 guests get a FREE gift bag with goodies from Crowded Teeth, Loungefly, Dolly’s Cotton Candy, and SWEET STREETS!